I have wanted to write this post for so long but life always gets in the way, especially this time of year. 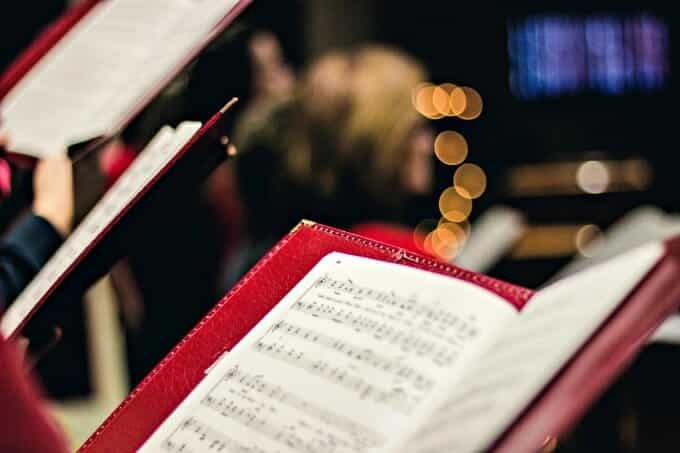 Today, I’d like to tell you about why our family loves SQUILT for homeschool music appreciation…. especially during the holidays! Do you homeschool during the holidays? There are many different approaches to homeschooling through the holiday chaos. Some folks choose to take a break while others power through. Where do you fall on this spectrum? During the holiday season, we abandon much of our curriculum and turn our attention to the things we love most including nature, art, games, books, and music. We enjoy tons of holiday specials and we bake and craft until our hearts are content. Once the holiday dust has settled, we return to a more typical routine. I don’t worry about this holiday slow down because I know that learning happens all the time. 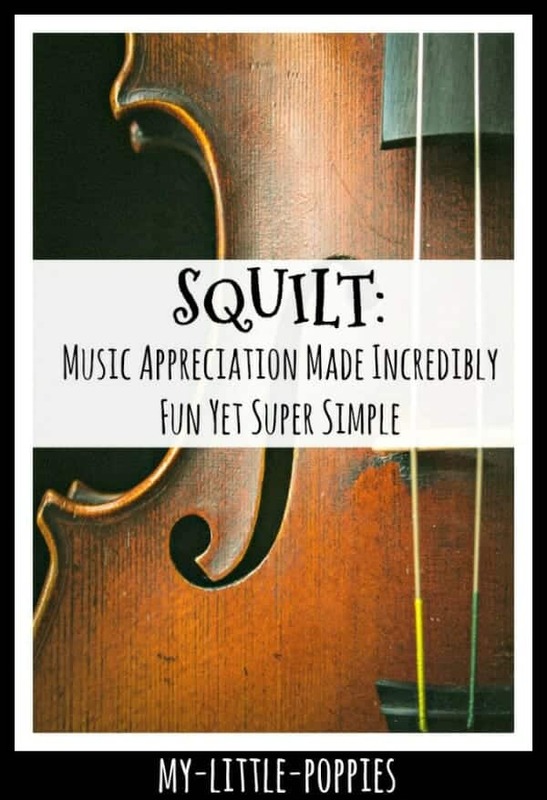 SQUILT is super fun, super EASY music appreciation for homeschoolers. I have absolutely zero musical training and I adore this program. The best part? SQUILT allows you to learn about music your way. SQUILT offers lessons on Baroque, Classical, Romantic, and Modern musical eras. SQUILT offers shorter volumes that are focused on one composer at a time. 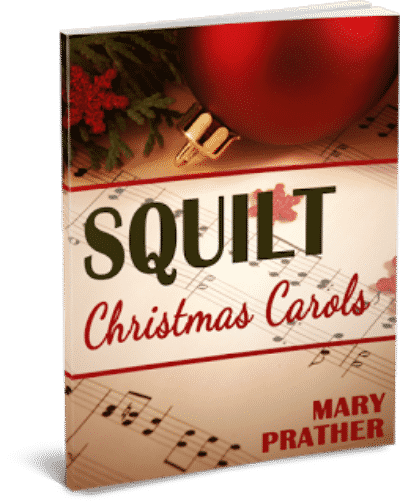 SQUILT offers lessons on The Nutcracker and also a Christmas Carol unit study… and more holiday content is coming soon! SQUILT’s Meet the Instruments program is fantastic. My kids love it! I’ve said it before, and I’ll probably say it again, but Mary Prather had me at “super quiet” because the truth is we don’t get a lot of that in our home! But in all seriousness, we love SQUILT. I adore music but I do not have a music background. I’ve never played an instrument (unless you count my brief stint with the recorder in fourth grade). SQUILT is an easy-to-use music education program. You do not need to have a music background. The only thing you need to do is to have internet access and the desire to learn alongside your children. 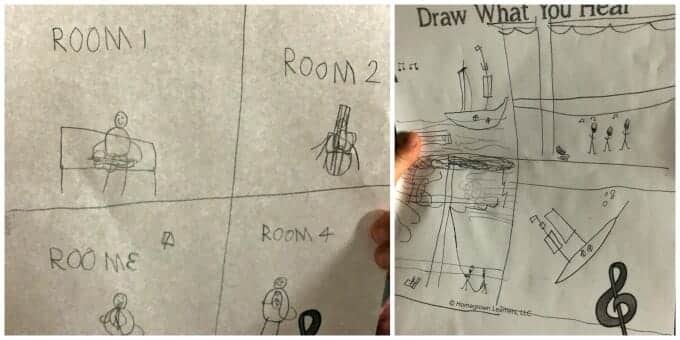 One of our favorite SQUILT activities is the “Draw What You Hear” practice. Students listen to a piece all the way through without talking. They picture the music in their mind and focus on how they feel as they listen. Then, students listen to the piece again and they draw what they hear. We try to do this activity daily, and Mary makes it easy. SQUILT Live members have access to monthly listening calendars! This is such an easy way for parents -even those with no musical background- to instill a love of music in their home. There are currently two volumes of SQUILT Christmas Carols. Each volume contains five lessons. Each lesson includes in-depth coverage of one Christmas Carol. Your children will learn about the history behind the carol and will listen to several versions. As they do, they will discuss dynamics, rhythm, tempo, and instrumentation. Notebooking pages and supplemental activities are included as well. These unit studies have become a Christmas tradition in our home. We use them every single year. During the month of December 2017, SQUILT LIVE! will be devoted to learning all about The Nutcracker. Students will learn about the music with fun listening maps, activities, and more. My children had their first SQUILT Live lesson yesterday and they loved it! They loved it so much that they were sad when it was over. Thankfully, I happened to have Tchaikovsky Discovers America at the ready, and so we listened to that on our way to our afternoon hike. Do you love music appreciation? Now, it’s your turn. Tell me: How do you instill a love of music in your home? Share here! So glad your children loved their first LIVE! lesson — I love seeing the videos. Thank you for this! We had a blast! Thank you so much for all you do!